Throughout our lifetimes our allergies can and usually do change. I never used to have a problem with wheat. In fact, I was known to go to the local pizza place as a young man and eat the number of slices of pizza equivalent to the years old I was that year. Now, if I have more than a little bit in my system at one time, my eyelids swell and I get a tremendous headache that lasts for hours so I have had to start looking at wheat alternatives. 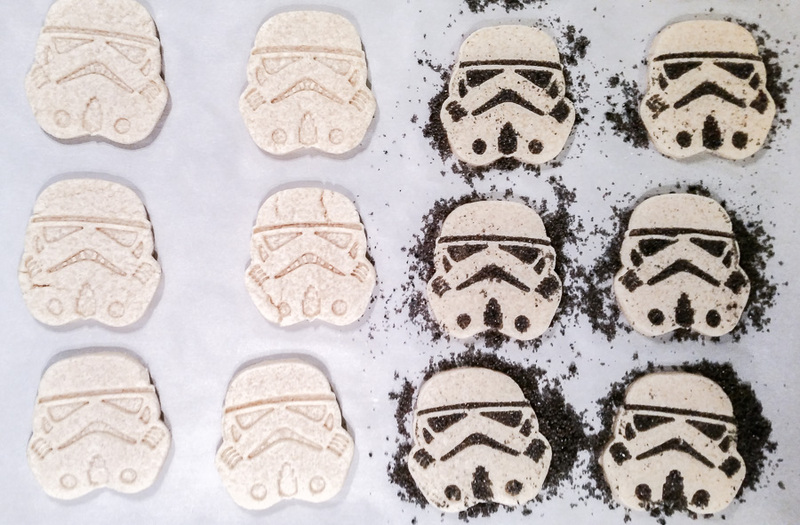 In honor of the impending new Star Wars movie and the post I did yesterday on how to make Jedi and Sith costumes, I thought I’d try some Star Wars sugar cookies again (you can find details on the best sugar cookie recipes here and here). Sugar cookies seem like an ideal wheat-free cookie to make because they are already quite dense and flat, which is what happens to any kind of bread that is made wheat-free. Luckily for me people are all in a tizzy about being gluten-free these days and if something is gluten-free it is wheat free too. 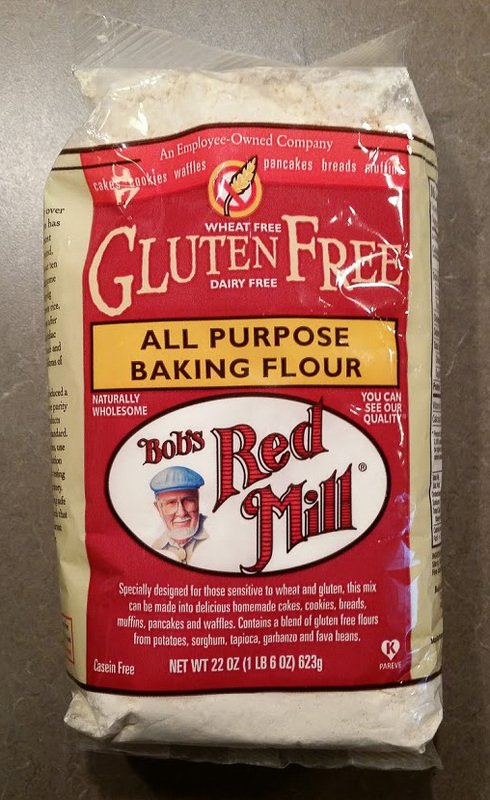 I used the recipe that came with my Williams-Sonoma Star Wars cookie cutters and tried two different kinds of gluten-free flour that I purchased in the organic section at Publix. This one is mostly garbanzo beans (what is used for hummus) and works well for these cookies. They retain about the same consistency and texture as regular sugar cookies but are a little drier. The dough is about the same as regular sugar cookie dough but is also drier and tastes like beans until it is cooked which makes me sad. This flour is mostly white and brown rice and also works well for these cookies producing results almost identical to the all-purpose flour. The big difference is that the dough tastes good too. 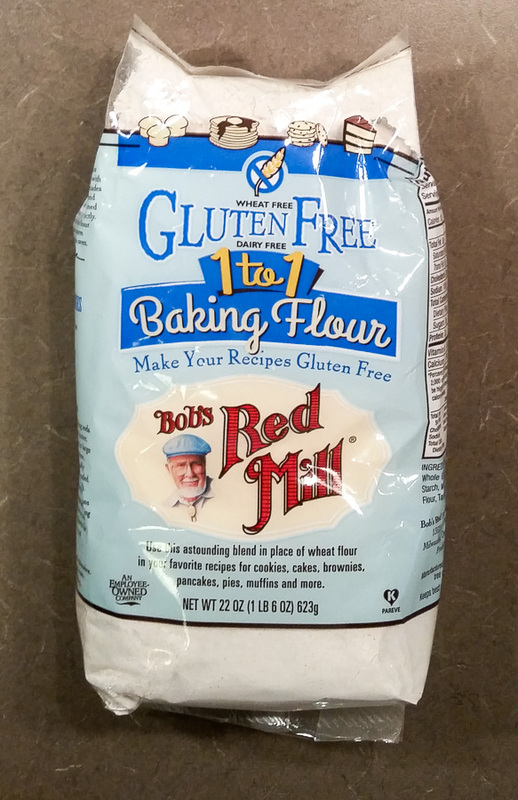 So the winner is the blue bag – Bob’s Red Mill Gluten-Free 1 to 1 Baking Flour. I also figured out a neat trick for decorating sugar cookies. Putting food coloring in the sugar you dust the tops of the cookies with gives them a colorful punch. I tried mixing it in the dough but that really diffused the color to the point where it was almost unnoticeable. Here is the trick though: put the colored sugar on the cookies after they bake. If you do it beforehand it is incredibly difficult to dust off all the excess as it sinks in and sticks to the dough, but afterwards it sweeps right off. I thought it would not stay on the cookies unless it was baked on but it holds about as well as the baked sugar (which is to say ok but not super great). I love your pitch-perfect enthusiasm! And believe me, they did get in my belly. There are only 6 left.